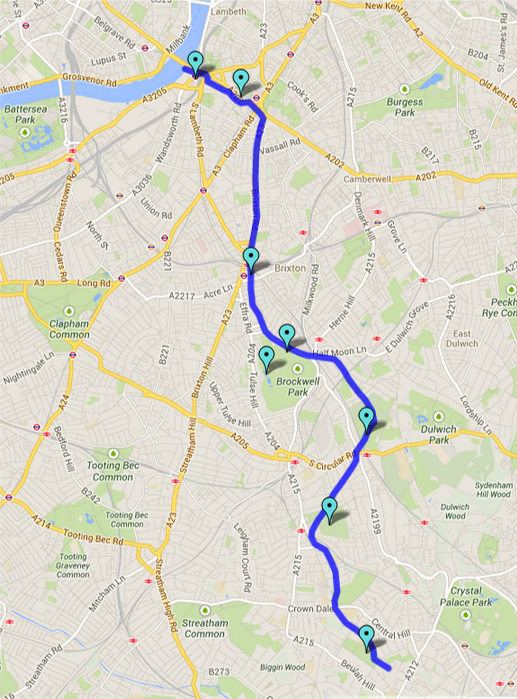 Ever wondered about the route of the River Effra? Many thanks to the “Lost Effra” project and the London Wildlife Trust for these maps showing the approximate route of the River Effra. 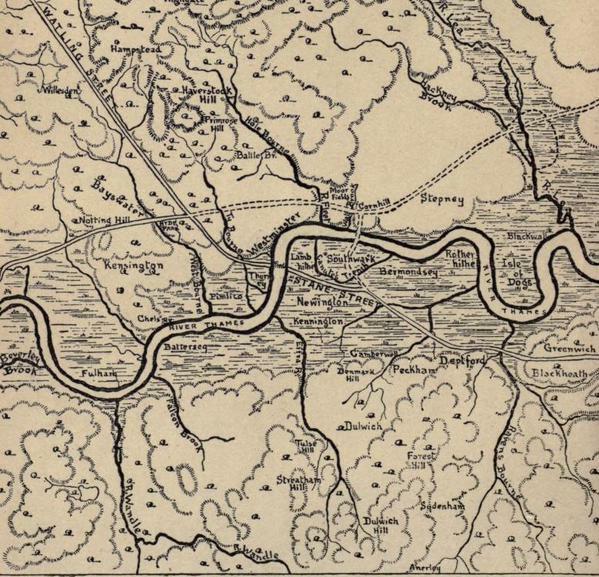 London Map (undated) showing Thames and River Effra before houses.